Hey, I'm trying to be as optimistic as possible! For today's look, I've paired this cute floral skater skirt, which I've worn countless times on the blog, with an oversized balloon sleeved sweater. Not only does it add more warmth, it actually helps to offset the playfulness of the skirt. This would be a great idea for those of you who have a more edgier style or feel as though some florals have a more juvenile look, which I can in part agree. Another option, as previously mentioned, would be to add in leather jacket, as well as a denim one. Once again, the additional textures and contrast adds interest to the look, while serving their purpose in keeping you warm. 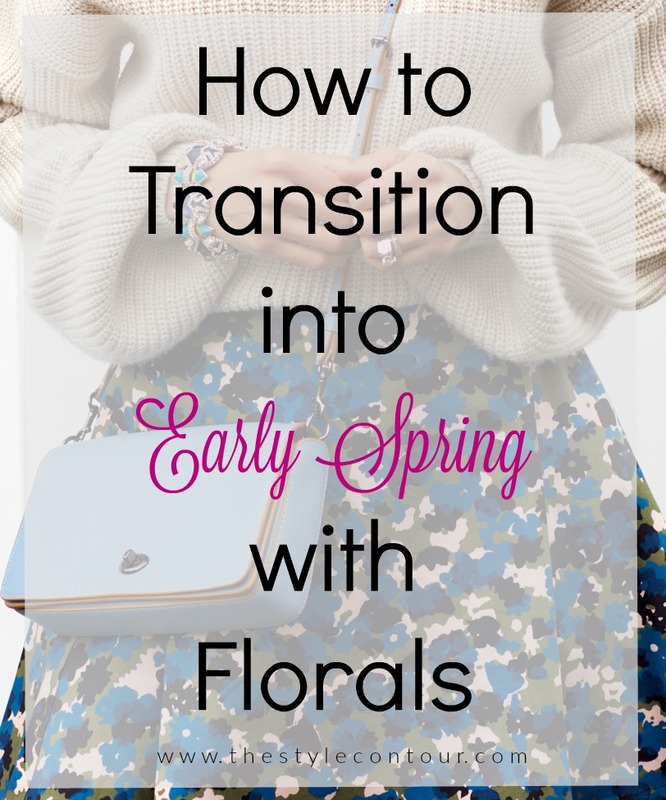 Do you like to wear florals and what's your favorite way to wear them? Thanks so much for stopping by, my friends, and I look forward to seeing you in Friday's post!